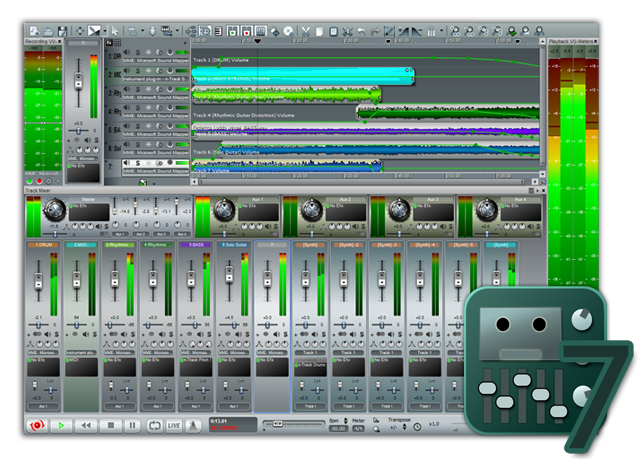 n-Track Studio v7, General Sequencer from n-Track Software. A pre-release beta of version 7.0.0 of n-Track Software's n-Track Studio for Windows is now available. 64 bit version can now load 32 bit native plugins via the 32 to 64 bit bridge. Option to 'sandbox' plugins to run them in a separate process. If a plugin crashes n-Track doesn't crash. n-Track Drums v2 - new user interface, effects, library. Looping of time selection (i.e. fixed small gap in audio playback when the song reaches the end of the loop interval). Cursor/selection/loop markers in the time axis. Timeline can now show master, aux, group and instrument channels, avoid to edit envelopes on top of unrelated tracks. Improved compatibility with VST3 plugins. 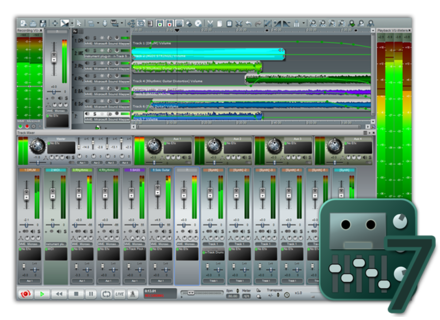 Improved compatibility with Melodyne, Jamstix, Waves and other VST2.x plugins. Quicker, smaller installer, doesn't require to uninstall before reinstalling. nEfx Compressor with side-chain input. The Beta version accepts v6.x registration codes. The final v7.0 will require v7.x registration codes. Tek'it Audio Arp-EG Classic Tek'it Audio has announced the release of Arp-EG Classic, a MIDI arpeggiator plug-in. Ueberschall 80s Smash Hits Ueberschall releases its newest collection.